BODYPUMP is an intense weight lifting fitness class that will improve your strength. This isn’t a class about lifting the heaviest weights you can muster, this class is about the number of repetitions. The more you do, the more toned you will get. This is a tough class, working every muscle group, making you push yourself harder than you generally have to, and you will surely be shaking by the end of it. But it will be worth it. 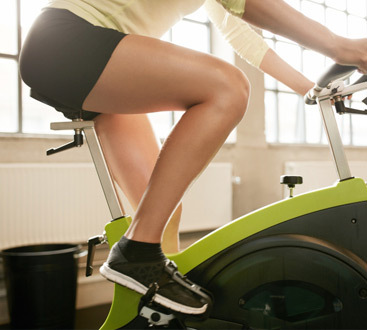 Your muscles will feel stronger than ever and you will be excited to go to your next class! BODYPUMP is a great way to learn how to do correctly do different weight lifting moves and get the maximum benefits from each workout. The instructors are trained to help you learn how to lift weights correctly and give you motivation to keep pushing yourself harder. BODYPUMP does require special equipment, since it is a weightlifting class. A barbell, plates, two collars, one step, and one mat are generally what is required during the class, but they should be provided for you. You will not need to lug your own barbell to the gym just for a class! Wear clothes that are comfortable and allow for full movement, athletic shoes, and don’t forget your water bottle! You may also want to bring a towel to wipe away your sweat and dry your hands before lifting heavy weight! BODYPUMP is a great way to strengthen every major muscle group in your body in a single workout. This fitness class will improve your core, burn calories, and make you feel stronger than ever before! Nothing makes you feel like you accomplished something better than the soreness that comes after a hard workout, this will give you that feeling! 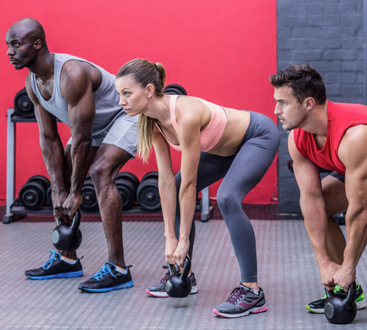 BODYPUMP also gives you the ability to easily track your improvement, after a few classes with one weight, it’ll become easier, this means you are gaining strength! Try a BODYPUMP class to get a full body workout, feel strong, and get results fast!